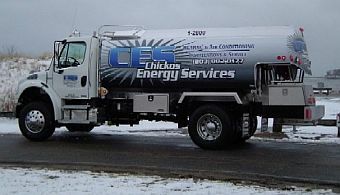 Chickos Energy Services, a family owned and operated business, installs some of the best Energy Star Rated quality products in the industry from oil to gas. Installation of oil tanks, boilers, warm air furnaces and central air systems are some of the services we offer along with a complete sheet metal fabrication shop. All installations and services are perfomed by our own employess to insure high quality work. Our continued commitment to our customers is to provide reliable, depenadble service you can trust.